When is comes to employer-employee relationships, one thing to ccnsider is the fact that the work place become a place for workers comp fraud. 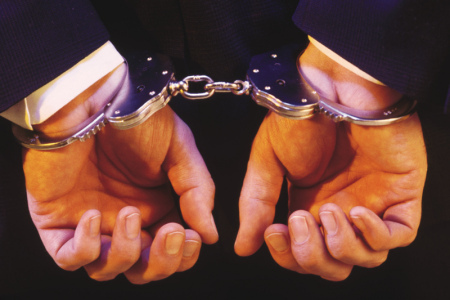 Workers’ compensation fraud is the most common and discussed form of fraud. Employers can easily deal with and prevent workers’ compensation fraud, but only if they are careful, diligent, and quick to attack it from every angle. Otherwise, it can cost businesses several salaries’ in fees. The most common form of claimant fraud occurs when an employee knowingly lies about an injury in order to collect benefits from the work place. Often times they will claim an injury occurred at work when in fact, it occurred at home. Others will exaggerate injuries, or continue to work after collecting benefits as a way of making extra money. It is important to remain empathetic and compassionate when dealing with your employees. It is not fraudulent to collect benefits if an injury is in fact work-related. Keep in mind that most injured employees will not return to work until their doctors advise them to do so, so elongated periods of absence are not necessarily a sign of fraud. If workers who exhibit one or more of the following behavioral patterns make any claims, contact your carrier immediately. Doing so may seem paranoid, but it will only help you save a great deal of money in the long run. Remember that there is rarely an exact science to discovering and proving claimant fraud. There are a variety of things to look for, however, when a claim is made, or when you think a claim is about to be made. Disgruntled employees are often the most likely to act erratically. Many workers who are denied vacation time, demoted, or laid off will be in danger of fraudulent behavior. Keep an eye on such employees. If an staff member becomes difficult to contact while collecting benefits, there is a chance that they are working another job at the same time. Keep track of the time it takes to get in touch with your employees. Some claims will be made that involve an injury taking place without the presence of other witnesses. If that is the case, find out exactly what the employee was doing, why they were alone, and if it is in their job description to be in such a situation. Statistics show that new employees are more likely to take advantage of their employers than those who have been with a company for an extended period of time. Keep a close eye on new workers, and keep track of their behavior. Statistics also show that a significant percentage of fraudulent claims involve accidents taking place on Mondays and Fridays. Keep an account of the exact description of your employee’s accident. Some workers will give a different account of their injury to their employer and doctor. Inconsistency in retelling gives cause for suspicion. Mr. Oliver is a marketing agent of Stamp Out Fraud. The Virginia insurance fraud program provides help in stamping out insurance fraud throughout Virginia. For more information on their Insurance Fraud Program please visit their website. There’s been a growing awareness that employer premium fraud is a major problem for California’s workers’ comp system. Last week, out of Orange County, comes a primo example of the problem. A Saratoga County man who claimed he hurt his arm lifting sheet rock was taken into custody by New York State Police for allegedly returning to working while he collected workers’ compensation benefits from the New York State Insurance. A Washington County man who collected $83000 in workers’ compensation benefits by claiming a back injury prevented him from working was arrested Friday after investigators found that his reported injuries didn’t stop him from skydiving. Workers’ compensation rates have been on the rise across the country. When you look at the state of affairs as it exists today, it’s likley that you are not paying the proper amount in premiums. Wouldn’t you like to know if you are being overcharged? Insurance companies are notorious for giving people the runaround when it comes to analyzing their workers compensation premium amounts or the calculation of their experience modification rating. It’s in the insurance company’s best interest to keep you ignorant about your policy. If you knew about these mistakes you would be demanding a refund on your overpaid workers’ compensation premium. Lack of One Entity Overseeing the Process: The insurance company will only do as much as they have to according to the state insurance laws. They do not calculate the experience modification factor or develop classification codes. This is done by rating bureaus like the National Council on Compensation Insurance (NCCI) or in California the Workers Compensation Insurance Rating Bureau (WCIRB). The insurance agency or broker is paid by the insurance companies and are subject to contracts with them. Because everybody works independently of each other, too many hands touching your data can lead to mistakes that cause you to be overcharged! Your Experience Rating Compares Your Company’s Past Premiums with Past Losses: In reality, the formula compares the actual incurred losses for your company with average loss data for all companies in the state who utilize the same classification codes and similar amounts of payroll. Large Insurance Companies Don’t Make Mistakes: The entire system is based upon a method of reporting data that almost guarantees mistakes. First, is simply the "human element" – people making mistakes, which leads to the "garbage in – garbage out/overpaid premium" problem. Second, there is the timing issue, with reporting the data to the bureau that calculates the experience modification. Lastly, as we have discussed above, no one is performing a quality control check on themselves or on each other. There Are Errors in The Calculation of Your Audit Premium: Unfortunately, many insurance company premium auditors are under tremendous pressure to audit as many policies as possible. On top of that, they are poorly trained in workers compensation laws and auditing procedures. As a result, payrolls are often reported incorrectly. They either are overstated, not limited by legitimate audit rules, or misclassified. Either way, it is costing your company money. Insurance Companies Would Never Recommend an Independent Audit: The workers’ compensation insurance industry is burdened with errors from wrong classification codes to simple incorrect calculations, costing your business money. Because of the complexity of the workers compensation system and the various entities involved, there is no universal method to correct these errors. An independent audit would reveal these errors, entitling your company a refund, which would make the insurance companies look bad. Would you allow an IRS agent to conduct an audit without an expert at your side? Would it seem like a good business move if you were to have the IRS call you, ask you to send them your estimated taxes for the year, then have them pickup your records at the end of the year and just trust that they made sure you paid the lowest amount of taxes you were legally obligated to pay? A worker’s compensation audit performed by the insurance company may actually cost you more than an IRS audit. Typically a workers’ comp audit occurs every year, whereas you may never get audited by the IRS. With workers compensation rates skyrocketing these days, it’s a smart move to speak with a workers comp consultant about reviewing your insurance premiums to make sure that you are not being overcharged. With over seventy years of combined experience in the workers’ compensation industry, our experience and "inside knowledge" of the system allows us to understand the complication and red tape that can occur when dealing with workers’ compensation premium overcharges and get you the money you are due. So if my employee made $500 for the week building a house for me I would have to pay $105 in workman’s comp premium for that one employee. This rate assumes you haven’t had any claims over the last year. Employers are concerned because workers’ compensation premiums are based on the number of claims. One worker with a highly infectious disease could infect an entire office or plant. Here’s another reason: Fraud is a key factor behind high comp insurance rates for other companies. When employers under-report the number of insured workers to reduce their comp premiums, it looks like there are fewer workers in a particular industry.